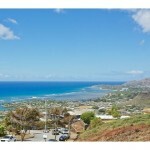 Manoa Homes for Sale - Real Estate in Manoa | Locations LLC. Situated in the lush green valley of Manoa, the neighborhood of the same name is one of the best and most coveted residential neighborhoods on the island of Oahu in Hawaii. 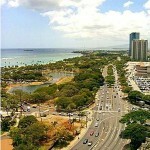 Manoa is about three miles east and inland from downtown Honolulu, the capital of Hawaii, and less than a mile from the Ala Moana and Waikiki areas. Since the Manoa neighborhood is located within a valley, the area receives rain daily even in the dry season. For this reason, Manoa is richly vegetated and beautifully green all year round with rainbows occurring on a daily basis. The rain isn’t a nuisance as rain showers in the valley are often brief and light. However, during heavy rainfall, floods have plagued the residents living along Manoa stream. Most recent was on October 30, 2004 when Manoa stream overflowed causing millions of dollars in damages to residential homes. 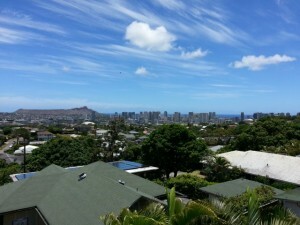 The vast majority of homes in Manoa are single-family homes built before the 1960s. There are also a few low-rise condos but private lot single-family residences dominate the neighborhood. Do not let the age of the homes fool you, these homes go for millions of dollars. A typical un-renovated single-family home with two or three bedrooms, 1,200 square feet in living space, and about 4,000 square feet lot size can start at $750,000. Most homes cost about $800,000 to $1 million. The high cost of homes in Manoa is primarily due to its close proximity to downtown Honolulu, its situation within a lush, beautiful valley, the excellent school system, and the serenity of the area. Manoa is known to be the home of the University of Hawaii at Manoa, the flagship campus of the University of Hawaii system. Other educational institutions include Manoa Elementary School, Noelani Elementary School, Punahou School, Mid-Pacific Institute, Saint Francis School, and a few more small, private schools. These schools are some of the best on Oahu, making Manoa a primary target area for families seeking an excellent school system. The central shopping area is Manoa Marketplace, which has a farmer’s market several days a week, a major supermarket, a major pharmacy, and a smattering of small eateries. Other places of interest include the Lyon Arboretum, Manoa Falls, and the Waioli Tea Room.